1. How did S’Muffins come about? My husband and I joked about starting a “S’more Store” for many years, because the name is just so, well, fantastic. In the summer of 2009 the conversation came up once again, but this time I said, “I’m going to make some s’mores tonight." So, I started experimenting trying to create a s’more in a unique shape. We would have friends over for dinner and introduced them to my new, little creations. Everyone would go bananas when they tried them!! Their reaction was totally out of control! 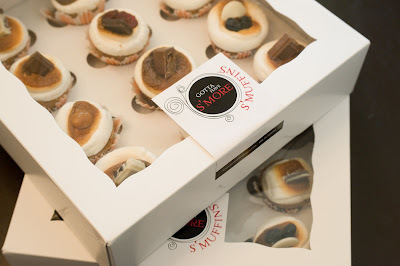 Before we knew it the S’muffin was born and I was moving full speed ahead with my new business, Gotta Have S’more. A S’muffin is simply a s’more shaped like a muffin. 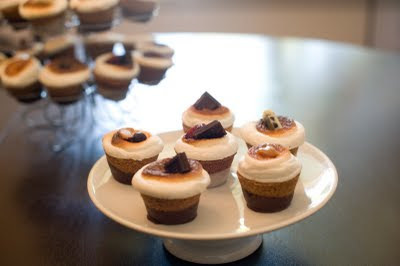 It’s not a cupcake in that it’s not made with any “cake” at all, but actually has a graham cracker base, roasted marshmallow on top and then different flavor fillings in the middle. Finally, they are each hand-dipped in either dark or white chocolate. 3. What are your favorite desserts in LA? Honestly, since I eat so many S’muffins due to quality control, testing new flavors, and my own personal addiction I try REALLY hard to stay away from any other desserts. But, with that said, I’ve had the pleasure of meeting lots of wonderful dessert owners with fantastic creations. 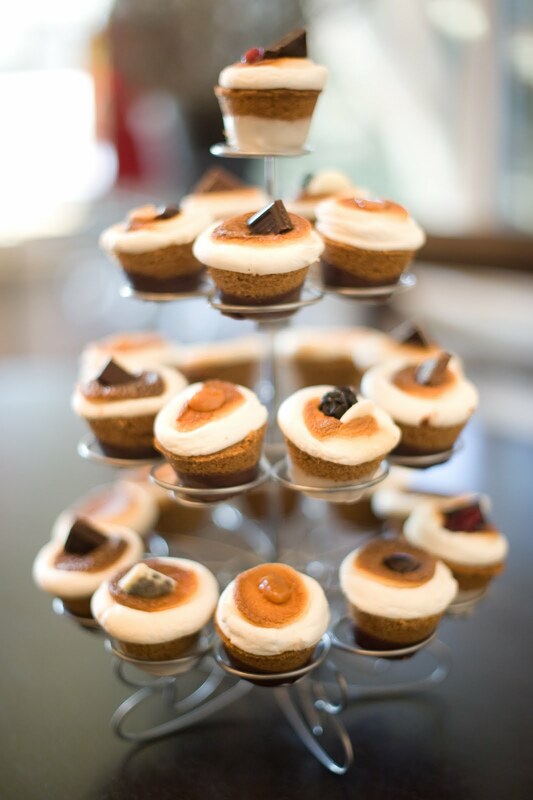 My favorite cupcakes are from My Delight Cupcakery, my favorite cookies are from The Good Cookies and The Platine Bakery, and my favorite brownies are from Embrace Sweets [Editor's Note: Embrace Sweets' 5 Questions With...). YUM!!! 4. What’s the ultimate goal for S’Muffins? The next big step for Gotta Have S’more is to expand our brand nationally via UPS/FedEx shipping. We’re in the process of creating a custom package that will allow us to ship out of state. Currently we deliver throughout LA and Orange Country and offer pickup at the Platine Bakery in Culver City. We have a long list of people who have requested to be notified once we have the shipping in place. Our fingers are crossed that it will be within the next couple of months! 5. 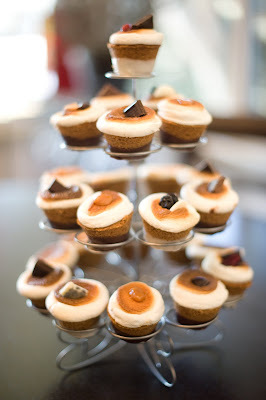 What would you say to someone who is stupid enough not to like s’mores, thus probably hesitant to give S’Muffins a try? Gotta Have S'more - available for delivery throughout LA and The OC or pick-up in Culver City. i've heard SO MUCH about these babies. i gotta have one!!! I really don't like S'Mores ( I'm hypoglycemic and can't eat that much sugar) so I sort of resent being called "stupid." WTF?